Bills that allow any law-abiding citizen to carry concealed firearms during a state of emergency are advancing through the Florida House and Senate, and it’s drawing a lot of opposition from media and the Florida Sheriff’s Assoc. The bill is designed to insure 2nd Amendment rights during a state of emergency, not allowing confiscation like we saw during Hurricane Katrina, where law enforcement confiscated firearms from citizens, sometimes at gunpoint. A bill that would allow Floridians to carry a concealed weapon without a concealed weapons permit during a state of emergency advanced in the state Senate on Tuesday. Though the legislation is not completed, the effect would be that under the duress of evacuation orders during an emergency like a hurricane, just about anyone could conceal and carry their weapons in public. The law stipulates that the guns must be legally owned, but in a state of emergency, who’s going to stop and check? Even worse, the Tampa Bay Times reported Thursday that the House version of the bill would even permit concealed firearms in the case of a riot. A riot! That sort of dangerous absurdity has led the Florida Sheriff’s Association to oppose the law. The Florida National Guard has also. 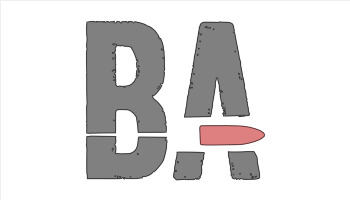 They represent the men and women in our community professionally trained to handle firearms. Not to mention, they’re the ones tasked with maintaining order when chaos strikes. Naturally, the left-leaning mainstream media is against the bill because they’re against any law that is designed to expand gun rights. It’s a bit more rare, however, to find the Florida Sheriff’s Association on their side. When we first covered the story in March, I dubbed the bill the “Katrina Law.” During Hurricane Katrina, law enforcement agents in Louisiana (and to a much lesser extent, Mississippi) confiscated firearms from citizens—often at gunpoint—as citizens were either attempting to move their firearms to higher ground, or in some instances, even from within their homes. 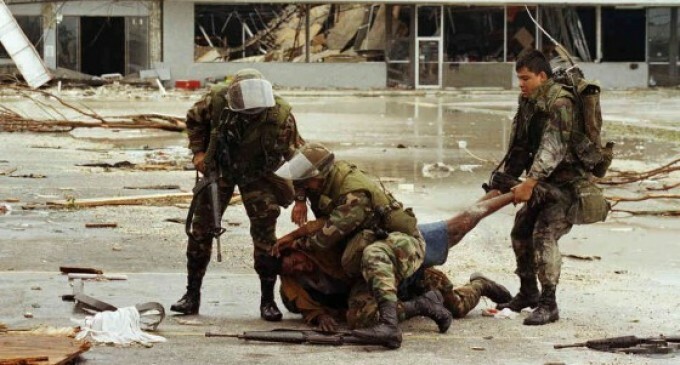 Florida National Guardsmen subdue a looter during Hurricane Andrew, 1992. These bills progressing through the Florida legislature were designed to ensure that law enforcement couldn’t use natural disasters as an excuse to destroy the Second Amendment rights of citizens. Instead, it expands laws so that citizens may be armed during a failure of civility resulting from disasters either natural or man-made, when the normal rule of law has broken down and looting, robbery, and other crimes are rampant. I empathize to a certain extent with law enforcement. This legislation is going to make their jobs harder, and the law is going to give people who might have little to no experience with firearms or the law the legal option to carry a concealed firearm during extremely high-stress emergencies. We can probably expect negligent discharges and unlawful shootings as a result of citizens who never bothered to become proficient with their sidearms, nor learned the legalities and best practices of armed self-defense going armed in public. That allowed, we also know that criminals exploit disasters to commit crimes when law enforcement resources are stretched incredibly thin and past their breaking points. We also know that in certain events, law enforcement abandons the citizenry, as the LAPD did during the 1992 Los Angeles riots. Shopkeepers Koreatown during the 1992 Los Angeles riots protecting their stores from rioters and arsonists that burned other neighborhoods to the ground. It is because of this fracturing of the normal social order and the rampant crime that often results that this legal exception to the normal rules of concealed carry needs to be granted. It is a law that grants extended permission during extraordinary circumstances for the better security of the overall community. I wouldn’t mind seeing one minor tweak to the bills in the interest of lessening the chances of negligent discharges, however. Because so many pistols today are double-action-only (DAO) or striker-fired without any sort of external safety, it would be nice if the bill stipulated that people without carry permits (and likely, without much training) had to carry their concealed handguns in a holster. Considering the strain on emergency medical resources during disasters, I’d hate to see someone shoot themselves due to a “naked carry” incident when even inexpensive holsters would cover the trigger and help prevent a negligent discharge.